When Is A Deal Just A Deal? When Trump Sells A Property, It's Not Always Clear President Trump's properties have been attracting a large and generous circle of buyers, from wealthy Russians to a Chinese businesswoman. Many questions are being raised about the deals' ethics. A view of the Trump Park Avenue building in New York. President Trump's properties have been attracting a large and generous circle of buyers, from wealthy Russians to a Chinese businesswoman, and many questions are being raised about the ethics of these deals. Angela Chen makes money hawking her ties to important people, running a consulting firm that helps companies connect with Asia's power players. So it inevitably attracted notice when Chen spent nearly $16 million recently to buy a four-bedroom Park Avenue penthouse owned by President Trump himself. The February deal, which was first reported by Mother Jones, underscores one of the problems posed by Trump's ongoing business interests. Trump famously made his mark in real estate, a business where prices inevitably fluctuate, making it possible to hide attempts to influence the president. "The nature of his businesses make it much more complicated than it would be if he worked sort of in a commodities kind of business, with a public corporation. But he has a family, private business surrounded by secrecy in markets that are not transparent," says Robert Weissman, president of the progressive watchdog group Public Citizen. The issue is especially problematic because Trump has long done business with foreign buyers, especially those from Russia and China. Reuters reported recently that at least 63 people with Russian passports or addresses had spent nearly $100 million buying real estate at seven Trump-branded properties in Florida. Sometimes, those buyers have had what can best be described as shady pasts, such as David Bogatin, who was identified by U.S. officials as a member of the Semion Mogilevich organized crime family in the 1990s and once reportedly owned five condos in Trump Tower in Manhattan. In 2008, Trump sold a Florida mansion to Russian "fertilizer king" Dmitry Rybolovlev for almost $100 million, after buying it four years earlier for $41 million. Rybolovlev has denied any wrongdoing, and the purchase took place well before Trump was seen as a plausible presidential candidate. Still, Democratic Rep. Eric Swalwell of California questioned FBI Director James Comey about the deal at Monday's House Intelligence Committee hearing, suggesting that it was an attempt to influence Trump. "Would a foreign adversary's oligarch purchasing a home in the United States for 129 percent more than the home was purchased four years before, would that be a tool that a foreign adversary would use to try to recruit, develop or bring somebody on to their side?" Swalwell asked. Comey declined to answer, and in fact, it can be hard to say sometimes what motivates a real estate deal. Take the apartment purchased by Chen, who is described on the website of her firm, Global Alliance Associates, as having developed "a well deserved reputation as a respected and sought-after advisor on establishing business relationships in China." Chen also chairs the China Arts Foundation, a nonprofit started by the well-connected daughter of former Chinese leader Deng Xiaoping. 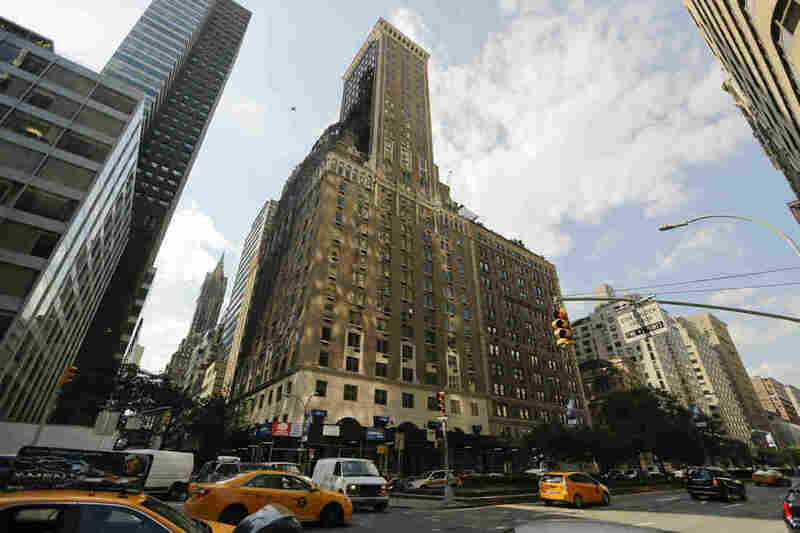 The apartment was in Trump Park Avenue, a condo building on Manhattan's Upper East Side where Trump's daughter Ivanka and her husband Jared Kushner reportedly lived. The sale wasn't listed and so the property had no initial asking price. But Jonathan Miller, CEO of Miller Samuel Real Estate Appraisers & Consultants, says that in a saturated market for high-end properties, the sale price seems on the face of it a little on the high side. "In any transaction, you can have the seller do a little better than the market or a little worse. In my view, the seller did a little better than what the market conditions would suggest," Miller says. A spokesperson for the Trump Organization said the sale to Chen was above board. "All transactions, including this one, are vetted in accordance with our ethical guidelines and procedures which include thorough background checks and independent analysis conducted by third parties," the spokesperson said. Chen did not respond to requests for comment. Was Chen trying to influence the president? It's hard to say, Public Citizen's Weissman notes. "She just put $16 million into the pocket of the president. Did she do that because she just really wanted to buy this penthouse, or did she do that because she wanted to curry favor with the president?" Weissman asks. The only way to take the issue off the table is for Trump to divest himself of the businesses he owns, something he has refused to do, Weissman says.